Blue and Green Japanese Stickers Pack 10 contains 5 blue and 5 green easy-peel Japanese stickers. 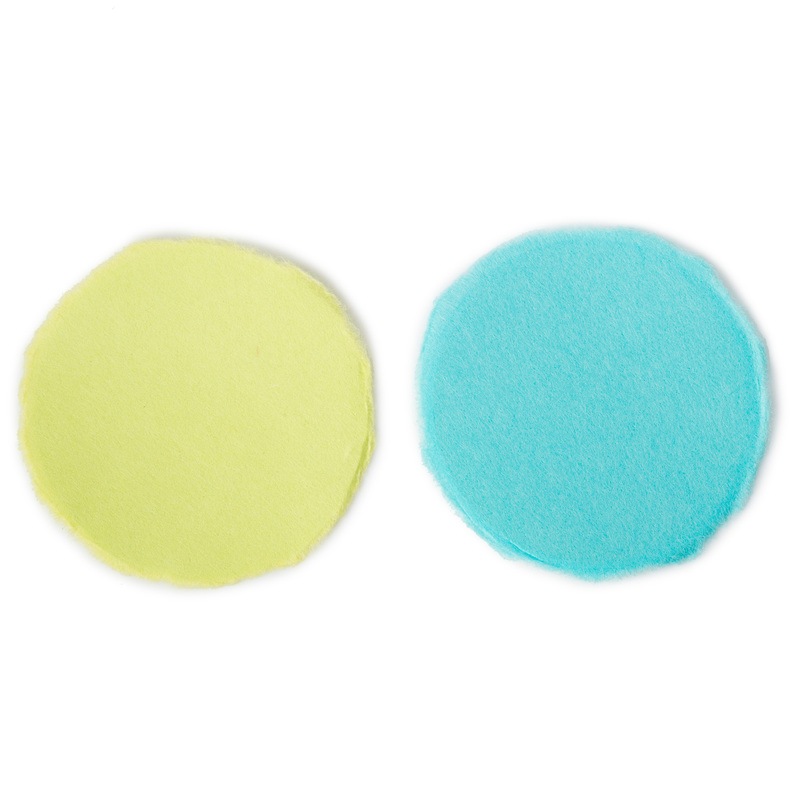 Perfect for card-makers, they are plain colours which have been cut into circle shapes with rough cut edges! Size: 5.5cm dia. / 2.25 inches. 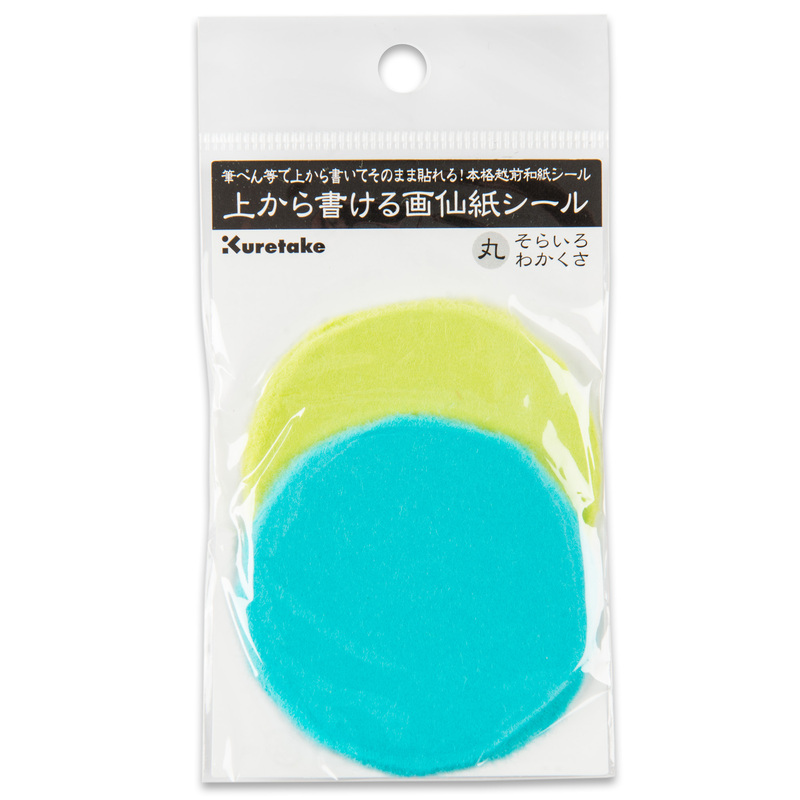 Exclusive to The Japanese Shop and made with a soft textured feel in Japan by Kuretake. Perfect for craft and card-making enthusiasts, the Blue and Green Japanese Stickers Pack 10 contains 10 soft textured traditional Japanese stickers. 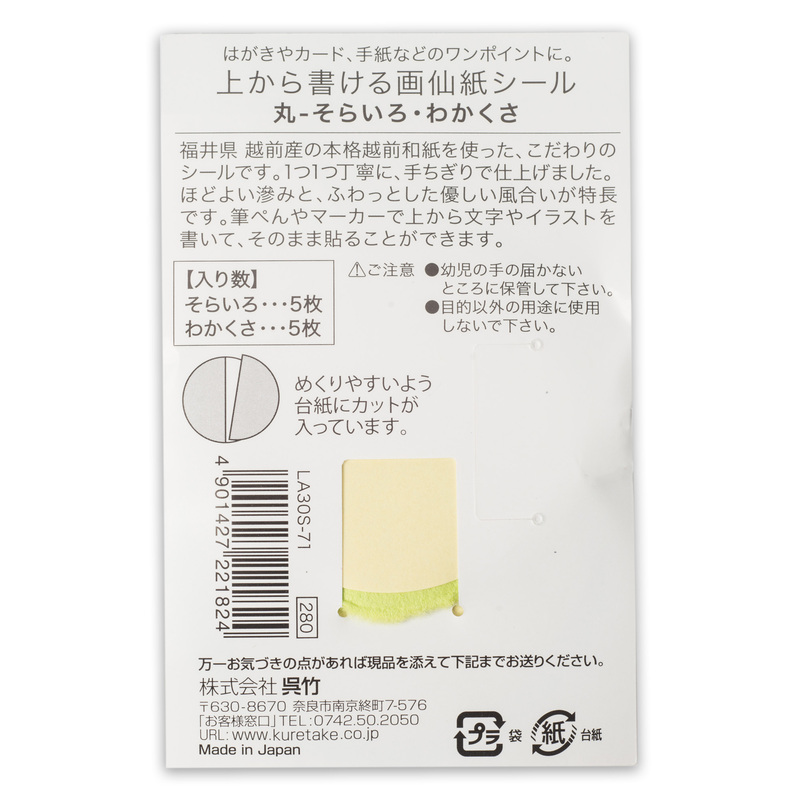 Exclusive to The Japanese Shop, these easy-peel, authentic Japanese stickers have been roughly cut into circle shapes, 5 in a plain turquoise blue and 5 in a plain lime green colour. Made in Japan by Kuretake, the Blue and Green Japanese Stickers Pack 10 are easy and fun to use adding a really authentic style to your Japanese art creations! Order your Blue and Green Japanese Stickers Pack 10 online today or visit our showroom for this and many more peelable Japanese stickers!